One of the men to have the most profound effect upon the early development of the Chicago "L" was businessman, financier, and traction magnate Charles Tyson Yerkes. At one point, Yerkes owned more than half of the private "L" companies (as well as 2/3 of the street railway system) and was responsible for much of the development of the system that can still be seen today. This colorful character was a shrewd businessman who was hailed by his allies and reviled by his critics. Charles Tyson Yerkes, Jr. was born on June 25, 1837 to Quaker parents in Philadelphia, Pennsylvania. The Yerkes family came from Wales to America in 1682 and became Quakers by adoption on reaching the territory of William Penn. According to the custom, young Charles became a student at a Quaker school and finished his education at the Central High School of Philadelphia. Yerkes's formal education ended after high school when he got his first full-time job as a clerk in a grain commission broker's office at age 17. His employers were so pleased with his work that they presented the young Yerkes with $50 at the end of his first year, although the custom was to give no salary to apprentices. At 22, he became a broker and underwriter of municipal securities. That year, he opened his own brokerage firm and joined the stock exchange. In 1862, he became involved in banking in Philadelphia, where he also began his interest in traction and street railways, and opened his own banking house at 20 South Third Street. He specialized in the sale of government, state, and city bonds and he soon was counted among the solid men of the City of Brotherly Love. When the national bond market collapsed after the Great Chicago Fire of 1871, Yerkes found himself unable to make due on his monthly payment to the City of Philadelphia's account with him. He lost his fortune and was ruined. The City of Philadelphia sent him to jail (officially for embezzlement of $400,000 of the city's money, unofficially for giving preference in his payments to someone other than the city), but he served only seven months of a thirty-three month term. While in prison for his crime, Yerkes confidently told a reporter, "I have made up my mind to keep my mental strength unimpaired, and think my chances for regaining my former position, financially, are as good as they ever were." He was pardoned by the governor at the request of some prominent Philadelphians. He soon returned to banking and quickly remade his fortune. In 1873 Mr. Yerkes set resolutely at work to recoup his shattered fortune, and as early as 1875 became interested in the Continental Passenger Railway Company and saw the stock rise from $15 to $100 a share. In the year 1880 Mr. Yerkes paid his first visit to Chicago, and while there became interested in the Northwest Land Company, with headquarters in Fargo, Dakota. This may have had a connection with a reported stint of Yerkes posing as a colonel in the Dakota Territory for a period in 1880 or 1881. In 1881, he divorced, remarried and relocated to Chicago. He quickly became involved in banking, financing, and traction again. When Yerkes arrived in Chicago, it was with the sole intention of opening a bank. As was popular with the powerful businessmen of the day, Yerkes assembled syndicates, an assembly of minimum risk companies with similar interests, for investors. These acquisitions were often highly leveraged and usually collapsed. After Yerkes came to Chicago, it was not long before the street railways caught his eye in his search for profit-making ventures. The low price of the North Chicago City Railway's stock and its room for expansion and modernization drew Yerkes's eye and he and his business partners, Peter A. B. Widener and William C. Elkins, chose it as their first acquisition in 1886. Together, the men acquired a bare majority of stock, 2,505 shares at $600 each for a total investment of $1,503,000, and created a holding company on March 18th called the North Chicago Street Railroad Company. This holding company issued $1,500,000 in bonds, the proceeds of which paid for the original stock purchase. The North Chicago City Railway then leased all of its property to the North Chicago Street Railroad Company for the period of 999 years. Thus, the Yerkes syndicate had acquired a street railway that produced approximately $250,000 per year in dividends on about $1.2 million in revenues without investing a dime himself. The tactic worked so well, Yerkes would repeat it one year later on the West Side. A shrewd, sometimes ruthless businessman, Yerkes used every device at his disposal to ward off competitors and maintain a monopoly in his respective sections of the city. Like many other businessmen of the period, he routinely resorted to bribery to obtain franchises from the city council. When bribery didn't work, he sometimes employed "professional vamps" to seduce, then blackmail, lawmakers. If this failed, he'd usually simply buy out his competitor and either dismantle them or integrate them into his syndicate. Interestingly, Yerkes was often not the majority stockholder in his companies. He often distributed stock amongst his business associates, his wife, and even his clerical staff so that he could maintain a low profile when taking over companies. But the politicians, press, and public knew who was really in charge. Thus began a bitter distrust and dislike between Yerkes and the City of Chicago. Mayor Carter Harrison wrote of Yerkes, "Trained in the public utility school he saw a roseate future ahead for the man who would apply eastern methods of official corruption to the crude halfway measures so far practiced by the novices in Chicago's best financial circles." The feeling was mutual. Popular lore says that after Harrison's newspaper, the Times, published an unflattering article about Yerkes's street railways, the businessman strode unannounced into Harrison's office and said, "Carter, I always knew you were a scoundrel. Good day, sir, " and left before Harrison could utter a word. Two "L" companies threatened Yerkes's transportation monopoly on the West Side of the city: the Metropolitan West Side Elevated and the Lake Street Elevated Railroads. By 1894, when the Met was under construction, Yerkes decided action was required and moved to take over the financially crippled Lake Street Elevated. He theorized that with the Chicago West Division Railway Company and the Lake Street Elevated Railway Company under his control, he could successfully minimize the negative effects of the Met. Keeping his identity a secret, Yerkes reached an agreement on July 3, 1894 with Frank L. Underwood on behalf of Underwood, Willard R. Green, Michael Cassius McDonald, and the Lake Street's other major stockholders for a majority interest in the Lake Street "L". Yerkes received 50,000 shares of company stock at $18 a share. Two days later, Yerkes replaced the company's officers with his own men, including outing President John A. Roche with his own man, Delancey H. Louderback, who was also active in the management of some of Yerkes's street railways. Yerkes immediately infused some badly needed capital into the cash-poor company. It was about this time that Yerkes's public image began a rapid decline. Yerkes's extravagant lifestyle did little to stifle his image as a robber baron as well. He furnished his $1.5 million mansion on New York City's Fifth Avenue with a marble staircase, a conservatory complete with flitting birds, and a gallery full of European art treasures, and later built a second mansion a few blocks away for his favorite mistress. A young astronomer gave Yerkes a chance to better his image. Twenty-four-year-old George Ellery Hale proposed an observatory adequately equipped to study the sun. When Hale accepted a professorship at the University of Chicago in 1892, it was with one costly condition: He required the University to build a new observatory costing not less than $250,000. On October 4, 1892, U of C President Harper and Professor Hale visited Yerkes in his office at 444 North Clark Street. Harper and Hale shrewdly appealed to Yerkes' considerable ego in order to obtain his financial support for their project. This would not be just any telescope, the scholars argued, it would be the world's largest telescope. For a man who always desired the biggest and best of everything, this proposal naturally held allure. But when Yerkes learned the full cost of the project, Yerkes hesitated. While certainly willing to finance a telescope, he had never planned on bankrolling a complete observatory building. Unfortunately for the tycoon, Hale leaked to the press a greatly exaggerated account of Yerkes' generosity, and on October 12 news stories trumpeted the "princely donation." The Daily Inter Ocean outdid the other newspapers in its praise of Yerkes and Sidney Kent, who funded a chemistry lab for the University. "What Lorenzo the Magnificent did for art in Florence, Kent and Yerkes, each in his own way, are doing for science in Chicago," the Inter Ocean extolled. The Chicago Times, owned by ex-Mayor Carter Harrison, Sr., refused to add to the cheers. "The astronomical beneficence of Mr. Yerkes does not excuse his street railway's shortcomings any more than the educational liberality of Mr. Rockefeller justifies the methods of the Standard Oil Company. It begins to look as if President Harper's success as a money raiser was due to his having shrewdly represented the Chicago university to divers men of wealth as a sort of conscience fund." By 1894, building plans were complete and the telescope's mounting already assembled, yet Yerkes was refusing to spend any more money on the project. On October 21, 1897, the Yerkes Observatory was officially dedicated. The observatory's namesake delivered the address presenting the observatory to the University of Chicago. His speech received a thunderous ovation. About the same time, Yerkes was contemplating a solution to a problem facing all three of Chicago's elevated companies: the lack of a true downtown terminal. The solution was a structure that today is one of Chicago's most renowned structures and one of the most defining elements of its central business district: the Loop. The Cities and Villages Act of 1872 required consent signatures from the majority of property owners along each mile of a street where an elevated railroad planned to build. Since many downtown streets were already lined with upscale stores, the "L" companies found the fear of the looming shadows and lowered property values the hulking elevated structure might bring hard to overcome. It took the political power of Charles Tyson Yerkes to overcome these obstacles and begin construction. Though the exact alignment of the Loop was debated and changed several times, the use of Lake Street as the north leg was never seriously questioned. This suited the Yerkes's Lake Street Elevated just fine, making their connection to the Loop all the more simple. By mid-1894, all the necessary frontage consent signatures along Lake Street to Wabash Avenue had been secured. On December 28, 1894, LeGrand W, Pierce, president of the Yerkes-backed Union Elevated Railroad (which Yerkes had chartered in November of 1894), and Lake Street Elevated president Delancey H. Louderback reached an agreement. The Union Elevated funded the cost of five of the seven block north leg from Market to Wabash, but ownership would stay with the Lake Street to pacify some property owners who still feared the presence of a Union Loop. By late summer 1895, the Lake Street extension was constructed to Wabash Avenue with stations at Fifth Avenue (later called Wells Street), Clark Street, and State Street. The Lake Street Elevated began service over this extension September 22, 1895. A franchise was finally granted for the east leg of the Loop along Wabash on October 14, 1895. 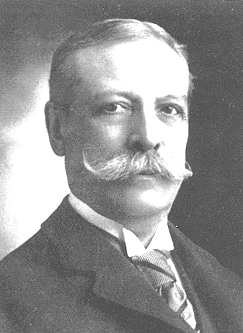 Yerkes often used a great deal of political and corporate maneuvering to gain his franchises and one technique often employed was to obtain the franchise in the name of another company. The Wabash leg of the Loop is unique in that it was the only section whose franchise was awarded in the name of the Union Elevated Railroad Company itself. The structure between Adams and Lake was placed in service November 8, 1896. Permission for the west leg was perhaps one of the easiest to obtain. Although utilizing Market Street and extending the Market stub track of the Lake Street Elevated was considered, Yerkes instead decided to "kill two bird with one stone." He used a similar tactic here as he had for the north leg: he obtained the franchise in the name of his planned, but as-yet-unbuilt Northwestern Elevated Railroad. Frontage signatures were obtained in the name of the Northwestern from Michigan (now Hubbard) Street to Harrison Street. On June 24, 1895, the city council granted the Northwestern a 50-year franchise, after which the company reassigned the rights south of Lake Street to the Union Elevated. Construction commenced August 31, 1895. By the end of 1895, the only section of the Union Loop without a franchise was its southern leg. First considered was Harrison Street, but in late October, the Metropolitan West Side Elevated declared that this alignment was unacceptable, as it would subject its riders to a lengthy delay and detour. Yerkes abandoned his Harrison Street plans and changed the alignment to Van Buren Street, but this presented a new problem: Levi Z. Leiter, owner of much Loop property along Van Buren, strenuously objected. Thus began a bitter battle of words between Yerkes and Leiter in the newspapers and an apparent stalemate between the powerful businessman and the incensed property owner. Uninterested in compromise, Yerkes instead employed a tactic he'd used twice before in the Loop: obtaining the franchise in the name of another company. But instead of using an existing "L" company as before, he simply created a new one, the Union Consolidated Elevated Railroad. Incorporated in March 1896, its purpose was not only to build the gap between Wabash and Wells, but also the connection to the Metropolitan West Side Elevated. Unable to sway the opinion of Leiter and the fellow property owners he'd already convinced to consent to the "L"s construction, Yerkes employed perhaps one of his most crafty and duplicitous schemes. He announced that he'd build the Van Buren leg from Wabash to Halsted Street, a distance of one mile. The western half of this included mostly warehouses and industry who were at best excited and at least indifferent to the presence of the elevated. Their consent signatures coupled with those already obtained east of Market Street were all Yerkes needed to proceed. Of course, Yerkes never intended to actually build the structure west of Market. Construction east of Wells began in late 1896. Although the Van Buren leg was built and done with, there were a lot of bad feelings about Yerkes's roundabout methods of obtaining the franchise. After the Loop began operations, the city demanded forfeit from Yerkes over the alleged non-fulfillment of his franchise. At the ceremony marking the official opening of the Northwestern Elevated, Yerkes responded, "Even the City of Chicago has not the right to rob people, and the public does not want to see the money with which the city is run obtained by dishonest methods." Yerkes's relationship with the city was deteriorating fast. The Loop as a whole was activated October 3, 1897, first served by the Lake Street Elevated. The Metropolitan followed in October 11, with the South Side trailing on October 18. The last of the major "L" companies to be created was the Northwestern Elevated. Incorporated on October 25, 1893 by Edward Russell, Walter Anthony, Harold Sturges, and respected transportation consultant Bion Arnold, not among the incorporators was its chief financial backer: Yerkes. The Northwestern was actually Yerkes's first foray into the world of Chicago elevateds, incorporated more than eight months before he gained control of the Lake Street Elevated. His motivations for building the line were typically business-minded: to protect his North Side street railway system and his transportation monopoly in that section of the city. The Northwestern's charter allowed the line to extend from downtown to the Lake-Cook County border - a distance of 18.5 miles - but in all likelihood Yerkes had no intention of building beyond the Chicago city limits. In January 1894, the city granted the Northwestern a 50-year franchise to built from downtown to Wilson Avenue (later extended to Howard Street), but it included some very stiff financial penalties if the line was not completed to Wilson within three years (and to Howard within ten). In early 1894, the company surveyed its route and construction commenced in January 1896. The Yerkes-back Columbia Construction Company was confident that the line would be completed within a year. How wrong they were. Yerkes and his company met with a series of setbacks. The initial construction timetable had been overly optimistic and the company successfully lobbied for an extension until December 31, 1897. No sooner was this secured than a national economic depression caused construction to halt when Yerkes could not find buyers for nearly $1 million worth of Columbia stock. Always the cunning businessman, Yerkes came up with a solution: he offered stock purchasers a 40% bonus in Union Elevated Railroad stock. But by late November 1897, although the structure reached from Dayton to Buena, work was again halted due to financial troubles and there was no hope in meeting the new deadline. The alderman granted another extension, this time until January 1, 1899. But the financial outlook was still bleak. Columbia's stockholders were ready to quit, but Yerkes and the Northwestern decided to issue $4 million of its own bonds and seek a loan to complete the project. Work crews were again back at work, but the deadline was again impossible to meet. Hat in hand, the Northwestern asked for yet another extension. The alderman agreed, this time pushing the date to December 31, 1899. As the deadline drew nearer, extra crews were added to finish the work. By Christmas Day 1899, the entire structure was complete from downtown to Montrose, but only one track and three stations were ready for operation. On the evening of December 29th, crews built a ramps from the elevated at Montrose to the ground at Wilson and erected a small temporary station to meet the franchise requirements. The next day, the ceremonial first train was operated from Wrightwood station to the Loop and back. After this, the company decided to operate one round trip a day to keep their franchise until construction was complete. The city's public works commissioner, L.H. McGann, was unamused and declared the line unsafe (portions of the structure lacked the specified number of rivets) and incomplete and ordered operations suspended immediately. Yerkes had other ideas. He ordered the trains to operate anyway and the next day at Wrightwood station, four policemen arrested the train's motorman. Luckily, company officer Frank Hedley was aboard and he took the controls, taking the train to the Loop. Upon reaching Tower 18, he found 50 policemen lined up across the tracks, blocking the entrance to the Loop. But instead of stopping, Hedley sped up as the policemen scattered to avoid the train. The lawmen laid timbers across the Northwestern's access to the Loop and upon completing the circuit, Hedley was forced to bring his train into the Lake Street Elevated's Market Street Terminal. On January 3, 1900, the alderman granted another extension until May 31, 1900, but made it clear that there would be no more time extensions. On May 31, 1900, the Northwestern Elevated began operations, and its chief visionary was present to see his project come to fruition. But he would not remain in Chicago for long. Yerkes, in his own words, liked to "buy up old junk, fix it up a little, and unload it upon other fellows." Although this might be somewhat of an exaggeration - his railways were usually better off after he'd managed them than before - but certainly his robber baron philosophies had not earned him many allies in the city government or in the press. In 1899, Yerkes had attempted to secure a no-cost extension to one of his street railway lines for a period of one hundred years. Yerkes was accused of handing out over a million dollars in bribes to secure the passage of his franchise and during the City Council meeting a mob surrounded City Hall, demanding that Yerkes be repudiated. If Yerkes did bribe the aldermen, it was to no avail; the proposal was voted down. Politically and socially ostracized for his "rapacity," Yerkes left Chicago in 1900. He left for New York City, selling the bulk of his transit holdings and invested in the development and electrification of the London tubes (subways). He headed the syndicate that built the Metropolitan subway, (no connection to the Met "L"), and helped develop and extend the Bakerloo, Northern and Picadilly Lines. His main philanthropy was the observatory given to the University of Chicago in Lake Geneva, Wisconsin. He also donated an electric fountain to Lincoln Park, at a cost of $100,000. Although there have been few biographies on the life of Charles Yerkes, his life is perhaps best immortalized in works of fiction: Theodore Dreiser's "Cowperwood trilogy" - The Financier (1912), The Titan (1914), and The Stoic (1947) - was based on the life of Yerkes. "He was really a gallant though perverted soul that looked danger in the face unflinchingly. He was the stuff great war heroes are made of; with the right moral fiber he would have been a truly superb character." Charles Tyson Yerkes died in New York City on December 29, 1905, at the age of 68. His estate was valued at $4 million. His will left $100,000 to the observatory in Willams Bay, provided that it was officially designated the Yerkes Observatory. It seems that Yerkes's keen business sense was not lost on his spouse. His widow, Mary Adelaide, who was willed 1/3 of his estate, disputed a decision by the executor of his will to sell $4.5 million in Chicago City Railways bonds discounted to 30 cents on the dollar. The case dragged on until her death in 1911. Charles Tyson Yerkes, 1837-1905, by the Street Railway Review. Scientific American, January 28, 1893, p. 54.